Get Pink’d! day takes place on the last Thursday of October, Breast Cancer Awareness Month. 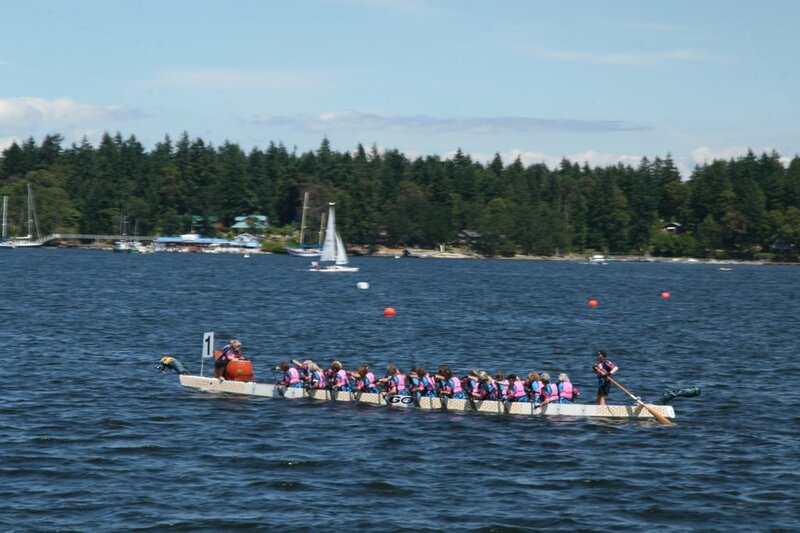 It’s the only event of its kind in Canada with 100 per cent of the proceeds going to support the Canadian Breast Cancer Foundation and breast health-related initiatives in this province and the Yukon. 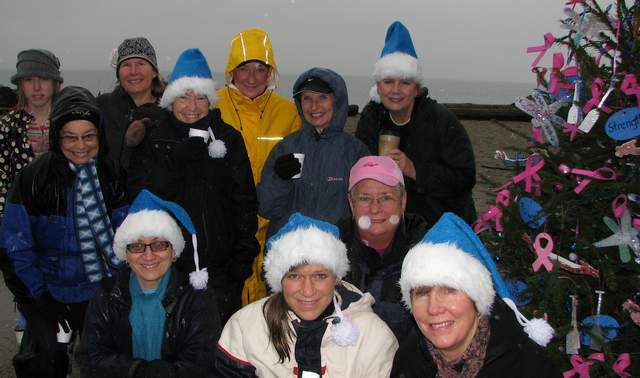 The Get Pink’d event will conclude Breast Cancer Awareness month, which kicked off with the Run for the Cure on Oct. 3. 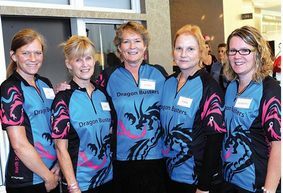 Once again The Dragon Busters supported this fund-raiser for Breast Cancer. Dragon Buster Kathy Brett (3rd from right) is seen here with the Safeway staff and Safeway Store Manager Darren Koehler. Kathy and her sister Dragon Busters took shifts at this Safeway store to collect money for Breast Cancer Research and to provide information about the Dragon Busters and the message that there is life after Breast Cancer. 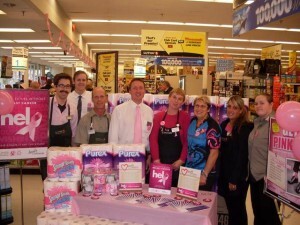 Canada Safeway dedicated the month of October 2011 to Breast Cancer Awareness and Fundraising. These focus days have been designed to raise awareness of breast cancer. For a minimum $5 donation, people can purchase a Get Pink’d button and either wear pink or, for those who don’t have clothing in the chosen hue, dress casually.